The great thing about Havana is that there are a TON of activities / excursions available to you. If you are anything like me, you like to at least have an idea of what you’d like to do before reaching your travel destination. I’m here to give you a hand with that! 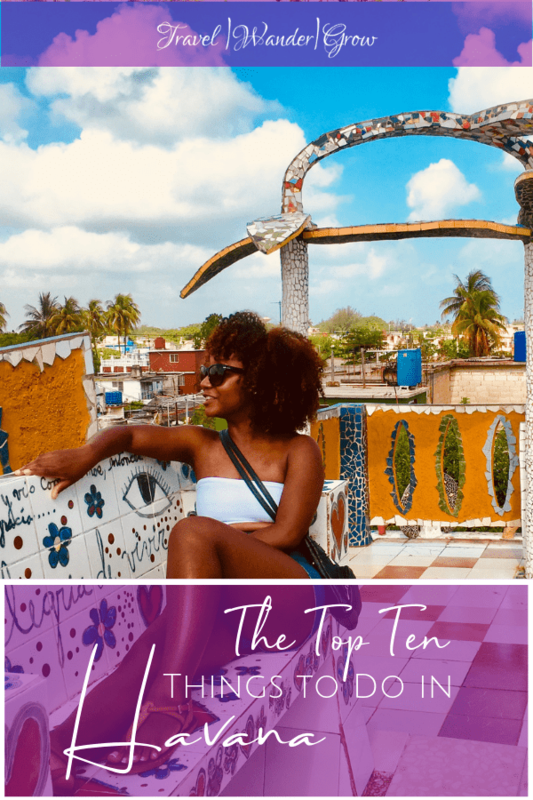 In this post I’ll give you my personal list of the top 10 things to do in Havana, Cuba and I’ll also throw in a few bonuses for outside the city at the end as well :). Old Havana is the perfect place to take a stroll and get lost a bit. Spending time here reminded me of exploring an old European city. But one where not much has changed for the past 50 years. Old Havana is very charming, especially a night. During the day it tends to be quite touristy, but it’s still a great time. In this area of the city you’ll find many art shops, great food options, and many shops full of Cuban souvenirs. Several of the restaurants mentioned in my post on Where to Eat in Havana can be found here, as well as La Casa del Son and El Floridita (mentioned later in this post). If you are interested in taking ride in one of the classic cars, it is very easy to grab one outside of the Hotel Inglaterra in Old Havana. It’s a little cliché, but makes for great pictures. 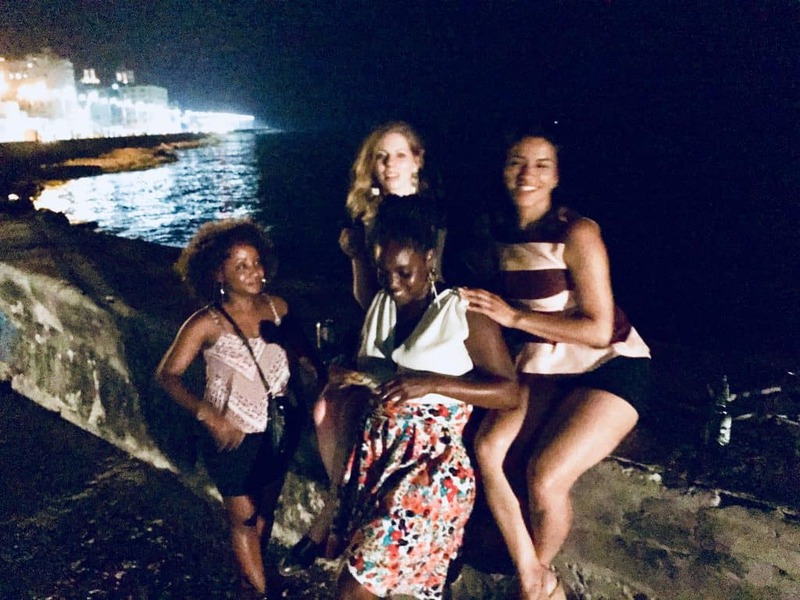 To help us get better acquainted with the city, we took the Havana by Night tour, which included dinner, a tour of Old Havana,a classic car ride, and more! A visit to Cuba is not complete without learning a bit of Cuban salsa moves. 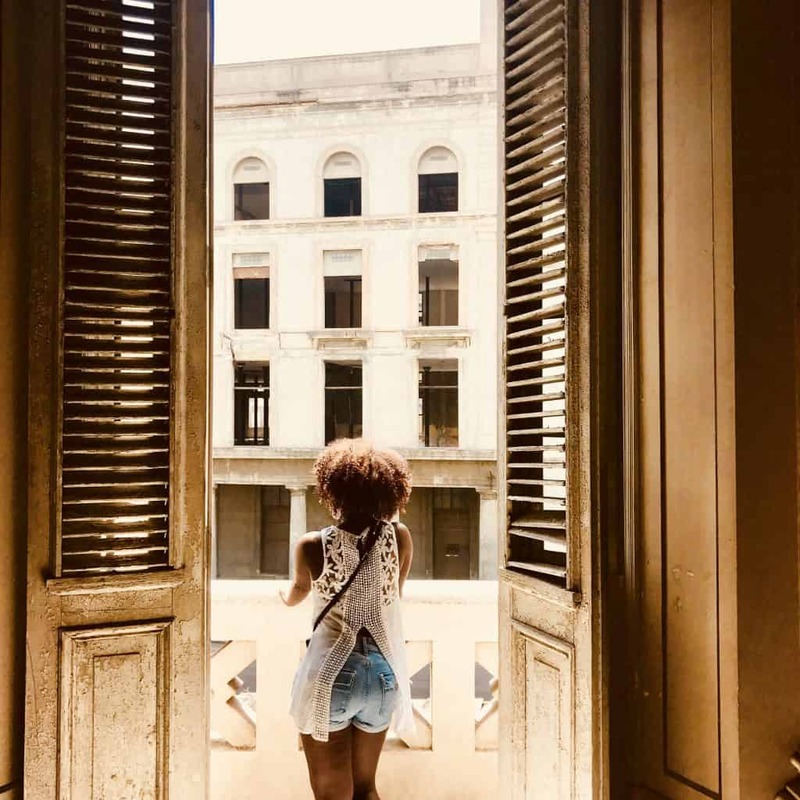 Dancing is pretty much a way of life in Cuba, and knowing a few steps will definitely come in handy if you decide to go out in Havana. One of the best things about taking salsa lessons in Cuba is that most places offer 1:1 lessons for a very low price. We paid just $15 each for one hour with a personal instructor. We took our lesson at La Casa del Son and had a great time. The instructors were incredible helpful, fun, and provided great music for us to dance to. We left knowing enough salsa to get by for the rest of the night. I’m sure if we had taken a few more lessons, we would have been dancing like pros ;). After you get your steps down, you should check out Club Jardines de 1830, an open air dancing spot. Here you can salsa the night away to live music. If you need a bit of a break, there are also tables and chairs for you to take a break and grab refreshments. This place serves as a restaurant during the day as well. 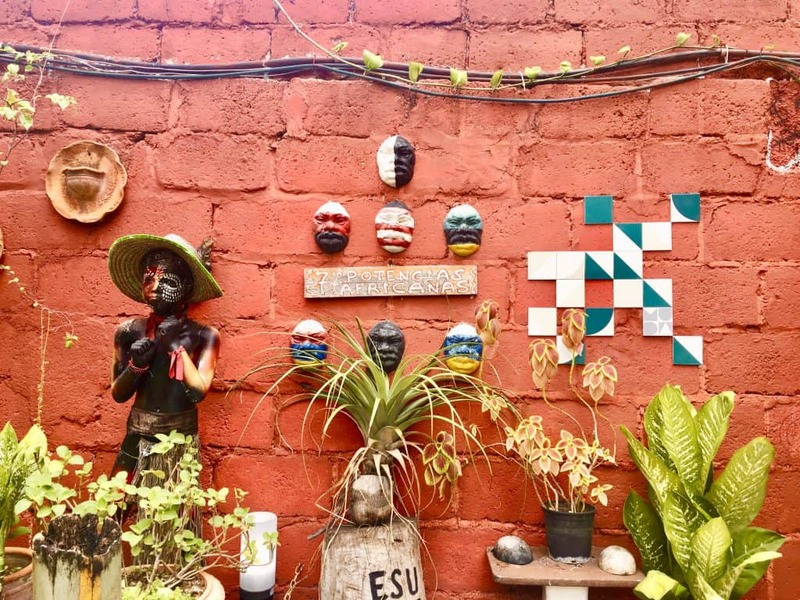 Fusterlandia began as an art project created by José Fuster, where he spent years covering his entire residence in colorful tiles and mosaics (simply put). The style of art is reminiscent of Gaudí and Picasso, and is a sight to behold. He began the project after receiving inspiration from a visit to Spain and returned with the desire to beautify his home. He expanded the project through his neighborhood as well, so you’ll see many colorful houses on your visit here. If you are interested in art in any capacity, this should definitely be on your list. El Floridita is known for being one of Ernest Hemingway’s favorite haunts, and as “la cuna del daiquiri”(the cradle of the daiquiri), this bodeguita is another must-see Havana. You can grab food and drinks here, and as in most places in Havana, you can also experience live music. This museum is centered on the revolution that Fidel Castro led in the 1950s. It’s one of the most interesting museums that I have had the pleasure of visiting. This is because you get to see a different side of the story for that turbulent time in Cuba’s history. The building where it is located is beautiful – it formally served as the Presidential Palace. This means that there is plenty of opportunity for great photo opps! Gazing out the window of the Museum of the Revolution. Originally built as a fortress to protect Havana from the water, this promenade is one of the city’s highlights. It is a popular hangout for Habaneros, so it’s a great place to meet the locals and experience the Cuban culture. It’s a great place to catch a little sea breeze in the evening after a long hot day. You’ll definitely find mini-bands playing/ singing some jams as well. A bit of a lesser known place you should visit is the Callejón de Hamel. This converted alleyway features a restaurant, art museum, and various art displays. 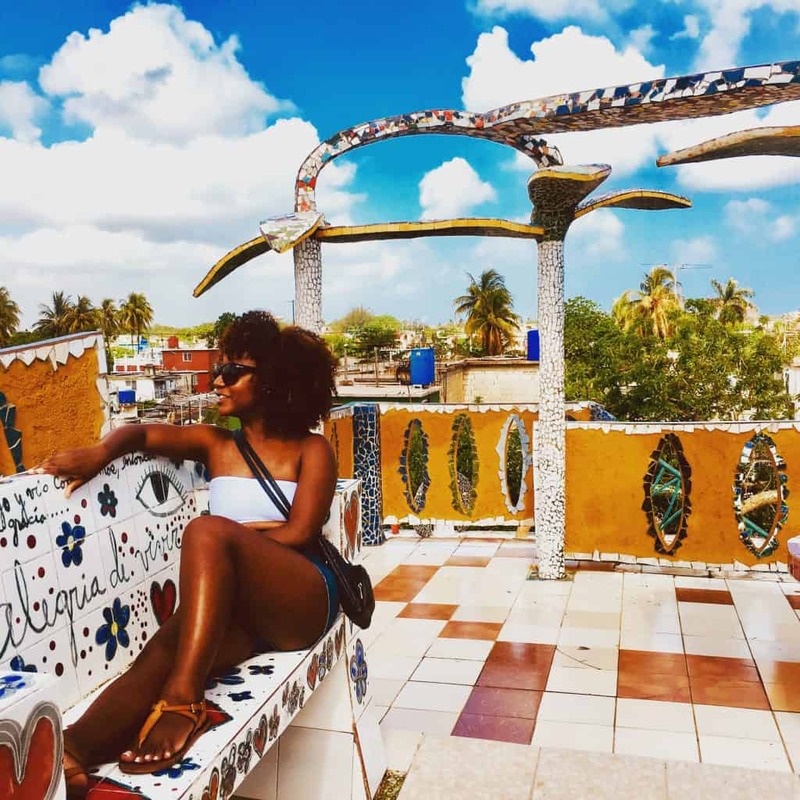 If you are interested in learning more about Afro-Cuban religions, ask one of the locals to walk you through the icons and idols on display there. Also, every Sunday you can experience a rumba show here. We missed this, but heard nothing but great things about it! If you are interested in buying unique souvenirs or art on your trip to Havana, visit Almacenes San Jose. This is a huge flea market where you can purchase items such as artwork, jewelry, and clothing. Visit this factory to get very detailed information on how those world-renowned cigars are made. 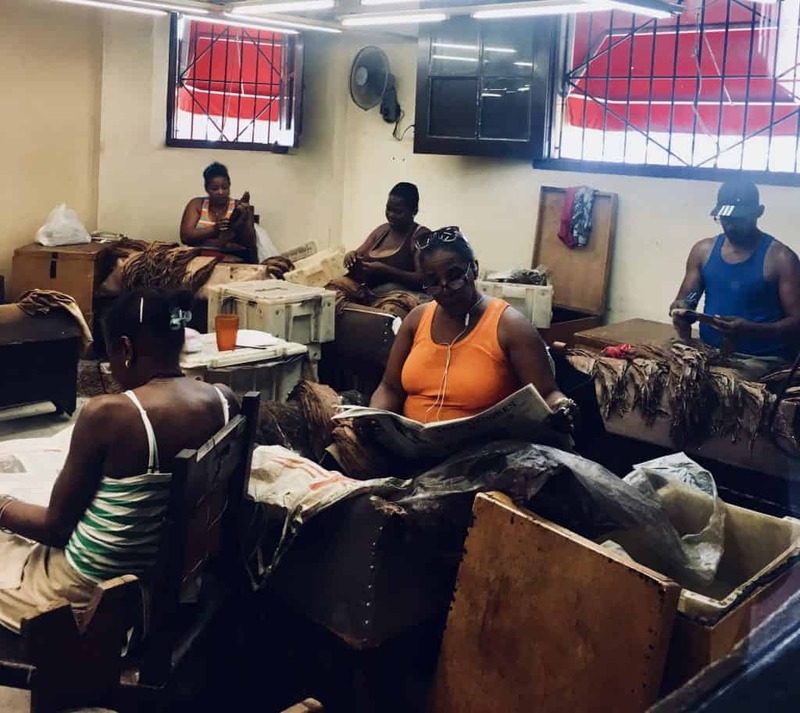 Tours happen in this factory around the clock, and this tour takes you through each stage of making the cigars. Note, photography is not generally allowed (unless you have a cool guide, like we did). Go to a travel agency in Havana to purchase a ticket for the factory. It’s best to visit large hotels as they are likely to have an agency on site. Take this ticket to the factory to be permitted to take a tour. One caveat is that you cannot buy tickets in advance of the day that you plan to visit the factory. Also, Partagas tours are only operated from 9AM – 1PM. 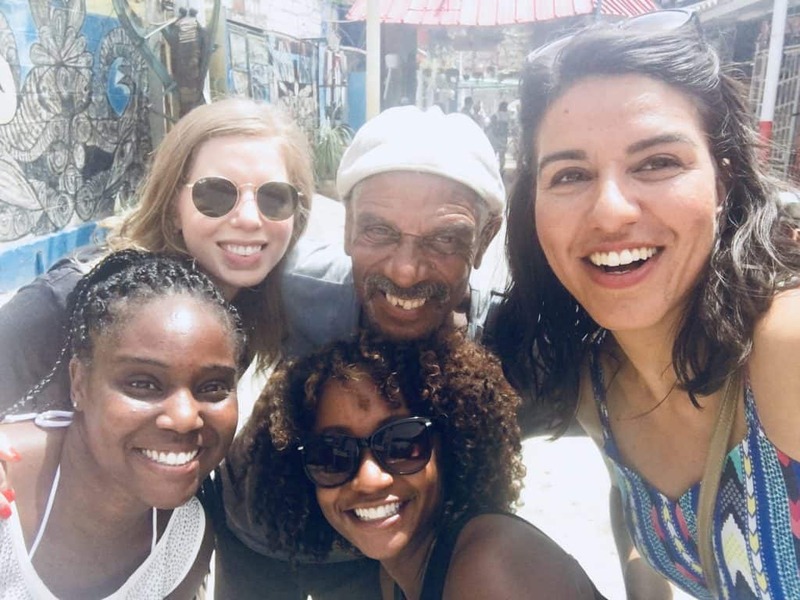 Okay, so this isn’t exactly an activity or tour, but I highly recommend getting to know some local Cubans while you are in Havana, as mentioned in this post on how to plan a trip to Cuba. I enjoyed my trip there so much because of the warm and vivacious people that I met there. I encountered so many people who were just interested in sharing their stories with me and my friends. They are the key reason why I cannot wait to go back to this enchanting island. 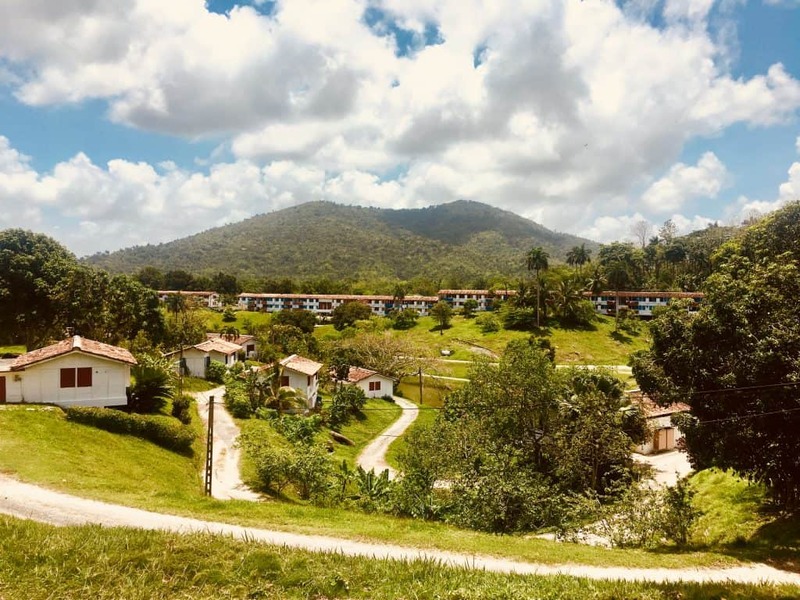 Las Terrazas: This is an eco-village located about an hour outside of Havana. It features excellent coffee, a watering hole, zip-lining, and beautiful scenery. You can drive here yourself, get a taxi to take you here, or take a tour here like we did. Varadero: A trip to any Caribbean island is not complete until you have spent a little time at the beach. Veradero is known for having amazing beaches, and certainly did not disappoint. The water is crystal clear and shallow enough to wade in for as far as you can see. To get there, we worked with the owner of the Casa Particular where we stayed to get a taxi ride from Havana to Varadero. We coordinated with our hotel in Veradero to get a taxi back to the city. For additional information, see my post on How to Get From Havana to Varadero. The water at Veradero is perfect! 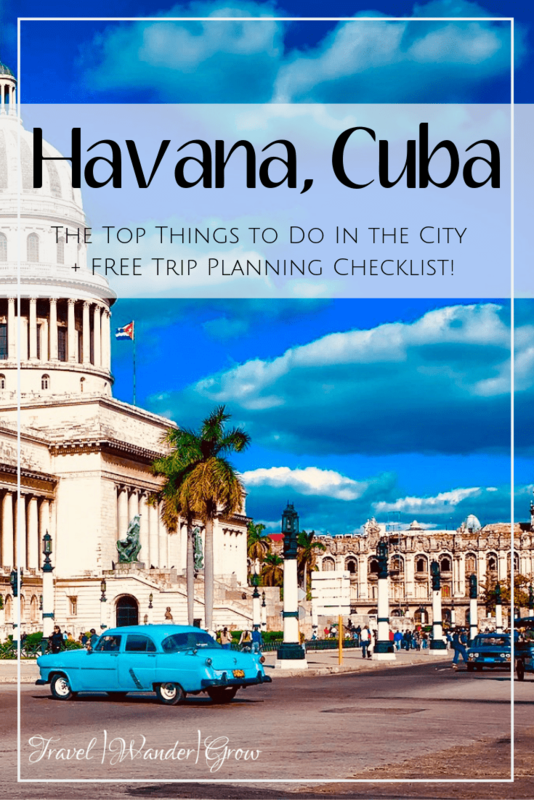 This wraps up my list of the top 10 things to do in Havana, Cuba. 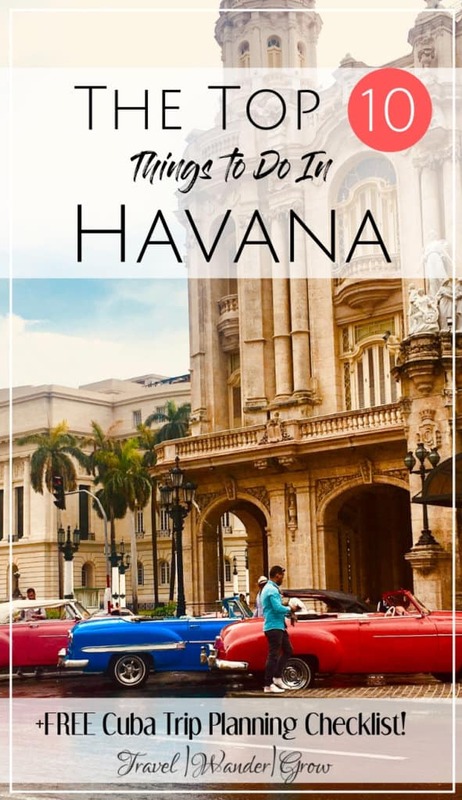 If you’ve been to Havana before, what were your favorite things to do in this city? Add your favorites in the comment box below! It looks like a great place to visit and as you said, the people may be the best part. You have brought up so many great things to do there but the one I would like to start with is learning the salsa. I am not much of a dancer but I keep trying to get my wife to take dance lessons. I think I could talk her into this one though as she loves the nightlife and what better way to experience it than doing the salsa. It sounds like a wonderful experience we need to plan for. Yes, salsa is a great dance to learn – and a lot of fun :). If you do start planning and have additional questions, just let me know! Awesome article on Havana. Looks like and sound like an amazing place to visit. The pictures also make it look very appealing as a place I would like to visit. Thank you for the great information. Thank you for your kind words, Curtis! You should definitely check it out if you can! Thank you so much for the compliment! You should certainly add Cuba to your list, you will not regret a trip to this wonderful place :). A lot of people I know have been to Cuba and it seems there is lots to do in Havana. I love visiting places where you can explore the city and not have to just stay on a resort. It seems I will need to add this on my travel list of destinations. Thank you for this! You are quite welcome, Erin! I agree that having a chance to explore the city and the culture is better than just visiting a resort – there is nothing quite like the “local” experience.